Patterns are great. Wait, let me rephrase that. Patterns are great in moderation. With solids you can never really mess up but when it comes to patterns it’s a whole new ball game. 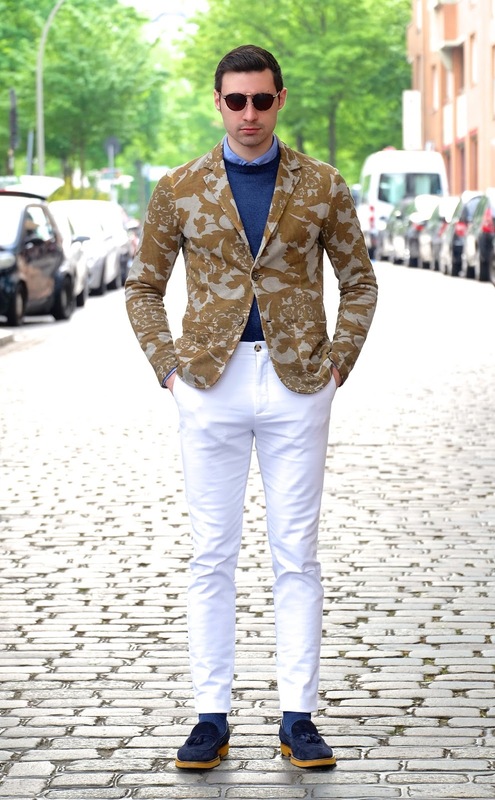 If you want to start experimenting with patterned blazers and suits then there are a couple of things to keep in mind. First of all, the environment. Are crazy patterns office appropriate? Probably not. What about on a first date? I’d also say no. But if you’re out with friends or doing your own thing on a day off then go for it. Second thing to think about is the loudness of the print. If the print is screaming look at me then you need to be comfortable with the attention that you’ll receive. If you’re a bit shy or just not in the mood for all eyes to be on you then stay away from loud and colorful blazers and suits. Lastly and most difficult is styling the piece. I say difficult because everyone seems to think that it take a brain surgeon to wear patterns but I have the easy solution. Just don’t wear 2 patterns. Yep, that’s right, stick to one pattern and its foolproof. 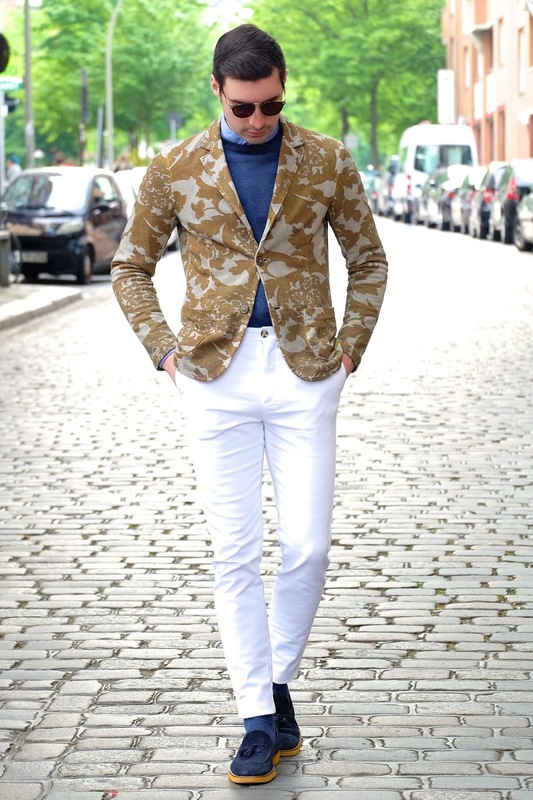 So if you’ve got a patterned blazer then just style it with other solid pieces. If you’re into pattern mixing then you do you, but i’d rather not look like im peacocking around. I’ll save that for Pitti Uomo. Thanks for reading. La giacca è bellissima. Questo look mi piace moltissimo. 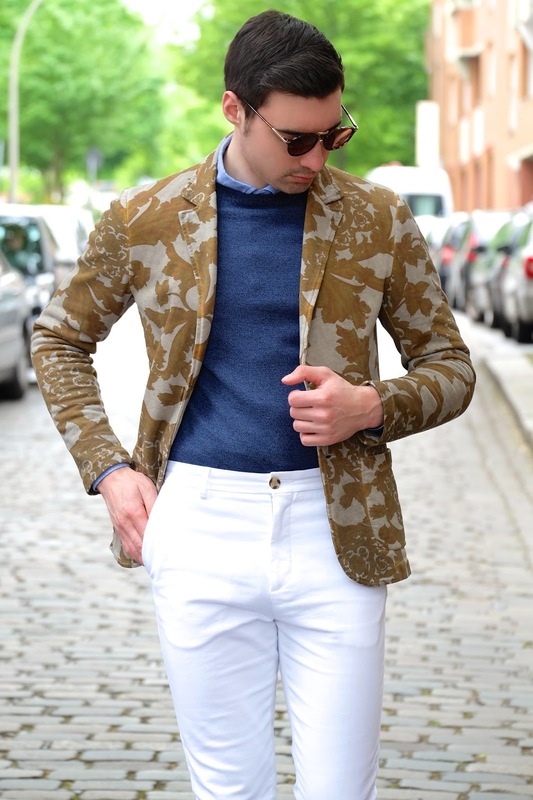 I like the print of the blazer. I love your jacket Beyoncè: Stylistic evolution of the world’s biggest songwriter whose rise in fame never seems to stop!